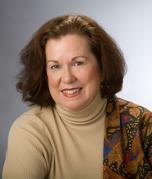 Katharine Russell is a former executive in the health care industry. She has a bachelor's degree in history from Northwestern University, a master's degree in journalism from Boston University, and a certificate in creative writing from UCLA's Writers Program. A descendant of Maryland colonists, who grew up in Southern Maryland, Russell divides her time between Baltimore MD, and Palm Desert, CA. Under the pen name Kath Russell, the author is writing the Pointer Mystery Series. Note: The dedication reference in the novel is from stanza III of the poem by Marylander James Ryder Randall, written in 1861, which is the lyric component of the state song of Maryland.